Once the attendance tool is set up in your course, and your course is published, you can start to take attendance using Roll Call. The attendance tool is configured by default to allow taking roll seven days a week. This setting is useful for courses where there may be a need to take attendance for an event that takes place outside of a regular school week. However, the attendance tool will only calculate grades in the gradebook out of the total number of days roll has been taken. Currently you can only view Roll Call on a day-by-day basis. To view additional dates you can run an attendance report for your course. Notes: Students cannot access the Attendance tool; only instructors have the ability to take attendance. However, students can see the Attendance assignment in the Assignments page and view their attendance report as part of the Roll Call Attendance submission details page. If you are using attendance for grading, students can also view their attendance grade in the Grades page. In Course Navigation, click the Attendance link. 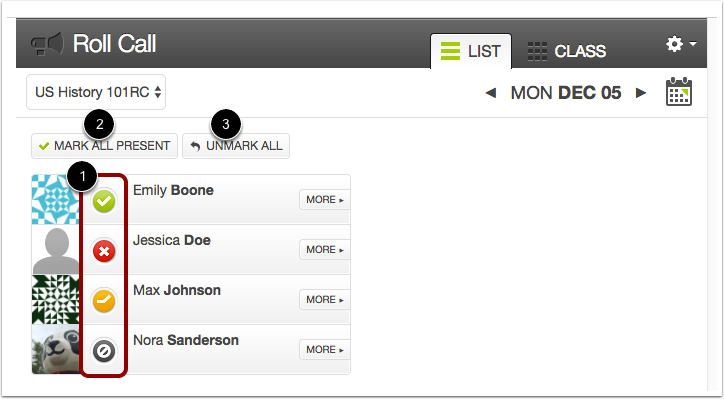 By default, Roll Call displays the List View tab , which shows all students in a list format. To view the class in the seating chart format, click the Class View tab . If your course includes sections, both views show a drop-down menu with the names of course section(s). To view students in a specific section, click the section drop-down menu . Note that this menu displays even if your course only contains one section. By default, Roll Call will display the current date. 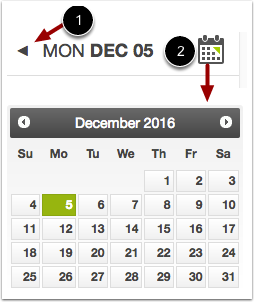 You can edit attendance records for a different date by using the arrow icons next to the date  or by clicking the Calendar icon . To mark the student as present and on time, click one time (green check mark icon). To mark the student as not present, click two times (red X icon). To mark the student as late, click three times (orange clock icon). 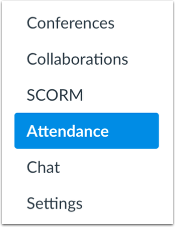 To unmark the attendance status, leave the button as the default (gray no symbol icon). The unmarked attendance status also indicates an excused absence. You can also take attendance by clicking the Mark All Present button . 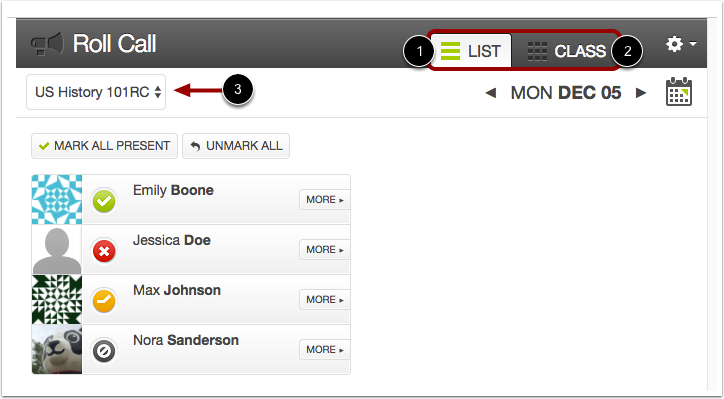 If you need to start over or clear all attendance entries, click the Unmark All button . In Class View, you can also toggle the correct mark next to each student's name (present, absent, or late) , or click the Mark All Present button . To unmark all student entries, click the Unmark All button . 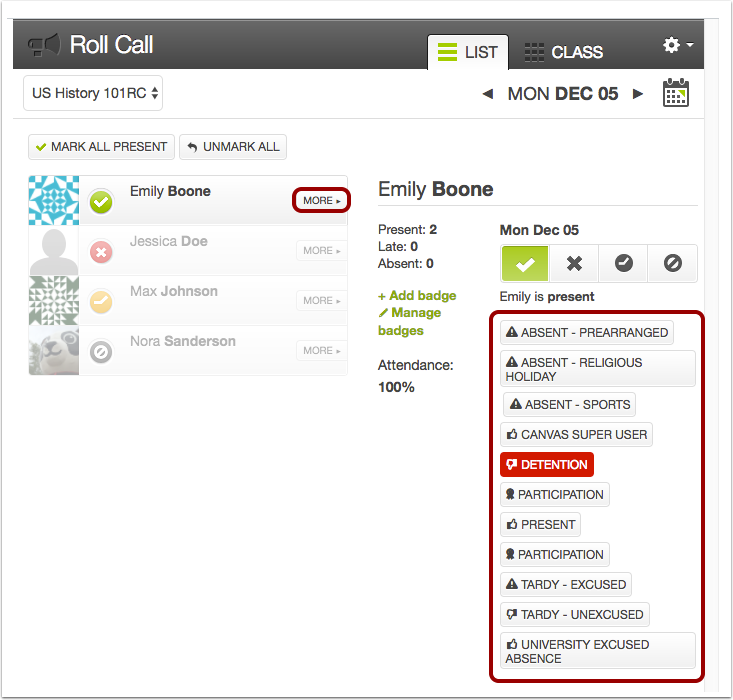 If you want to use roll call badges as part of the entry, view more options for the student and add the selected badge. Previous Topic:How do I edit the Roll Call Attendance assignment? Next Topic:How do I use Roll Call Attendance badges in a course? Table of Contents > Attendance (Roll Call) > How do I take roll call using the Attendance tool?